Florida State University’s Army ROTC program will hold its fourth annual Justin Sisson Memorial 5K Run and Walk Saturday, March 4. Sisson, a 2012 FSU graduate and officer from the Army ROTC program, lost his life at the age of 23 while defending his country. The race is organized by FSU Cadets to honor Sisson and raise funds for the FSU Justin Sisson Outstanding Cadet Award. The event will take place at 8:30 a.m. Saturday, March 4, on Landis Green. Over the past three years, the 5K race has raised more than $100K. Four scholarships will be given this year, three to cadets and a new award to a deserving veteran who is attending FSU. Sisson’s parents, Phyllis and Kevin, also an FSU alumnus, started the fund through the FSU Foundation with an initial $25,000 donation. As a sophomore, Sisson put his collegiate career on hold to deploy to Iraq with the Army National Guard. He returned to FSU in 2010 to complete his bachelor’s degree in history and went on to become the cadet battalion commander of the Army ROTC program as well as a distinguished honor graduate. Upon graduation, Sisson was commissioned into the U.S. Army as an infantry officer. Sisson earned numerous military distinctions, including two Bronze Star Medals and a Purple Heart. 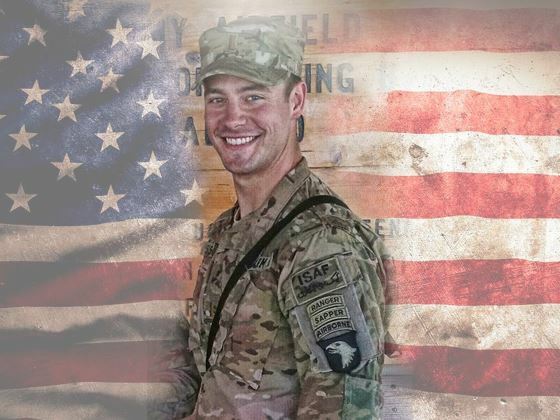 He was killed in action June 3, 2013, in Tsamkani, Afghanistan by a suicide bomber. Sisson is buried at Leavenworth National Cemetery in Kansas where both of his grandfathers who served are also buried. To register or donate, please visit www.eventbrite.com/e/4th-annual-2lt-justin-sisson-memorial.